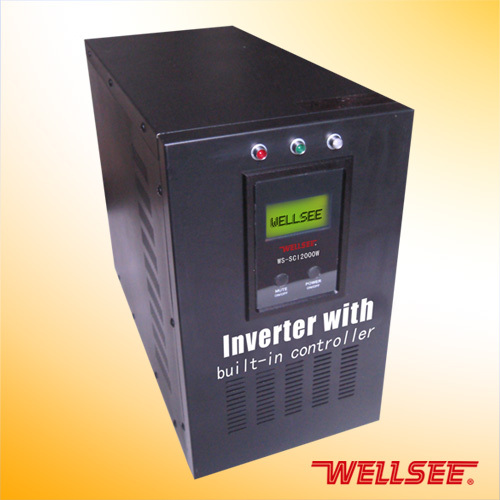 WS-SCI 2000W Solar Inverter with built-in controller_Solar Inverter with built-in controller_Products_solar controller,charge controller,solar regulator,lighting controller,mppt controller are selling best on our website! 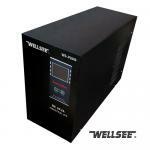 Wuhan Wellsee New Energy Industry Co., Ltd. focuses on the research, developments and productions of PV products. Wellsee Solar Inverter with built-in controller (solar inverter with charger, solar inverter with battery charger) WS-SCI series products integrate controller function with inverter function in one design, and can match battery case. 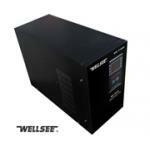 It fits for photovoltaic power generation system, and can be used as the portable emergency power. 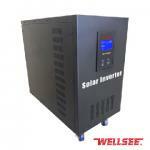 2) Solar-Mains hybrid intelligent power system (can be divided into Mains supply first and DC supply first). 4) Mains AC Charge function, Solar-Mains hybrid function, make sure the continuous output. 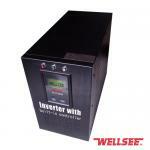 4) Multi-functional equipment that customers no need to purchasecontroller, charger and voltage regulator. 9) Pure sine wave power frequency circuit design, stable performance, low failure rate, long lifetime, easy maintenance, general lifetime can reach more than five years.